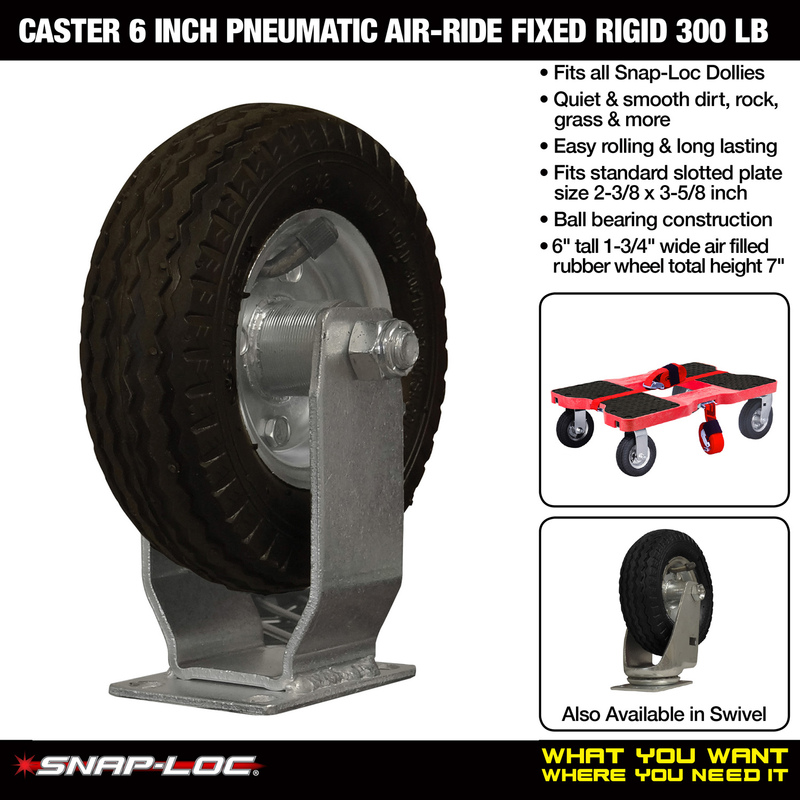 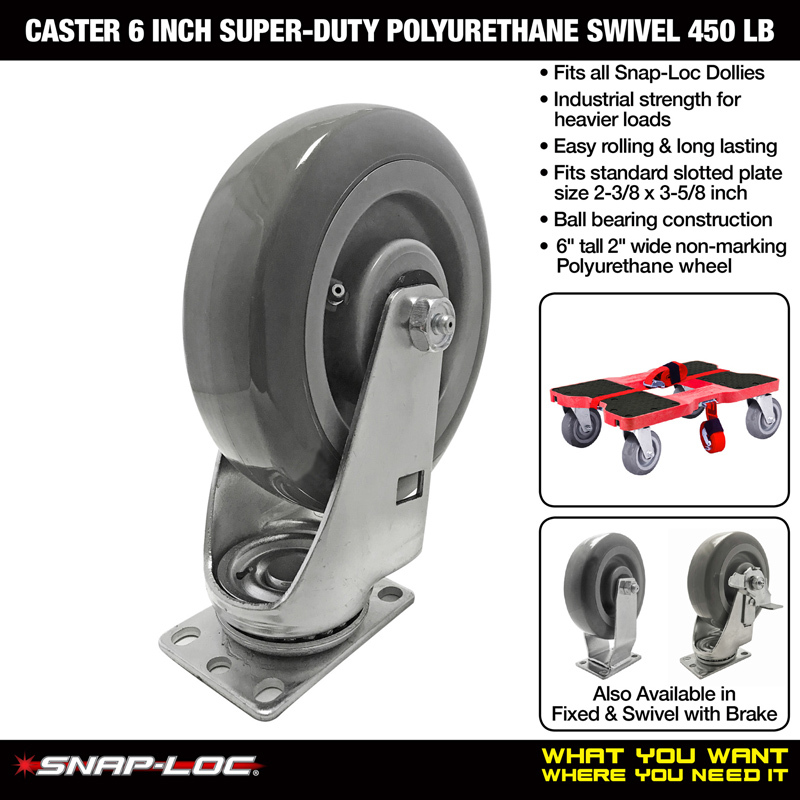 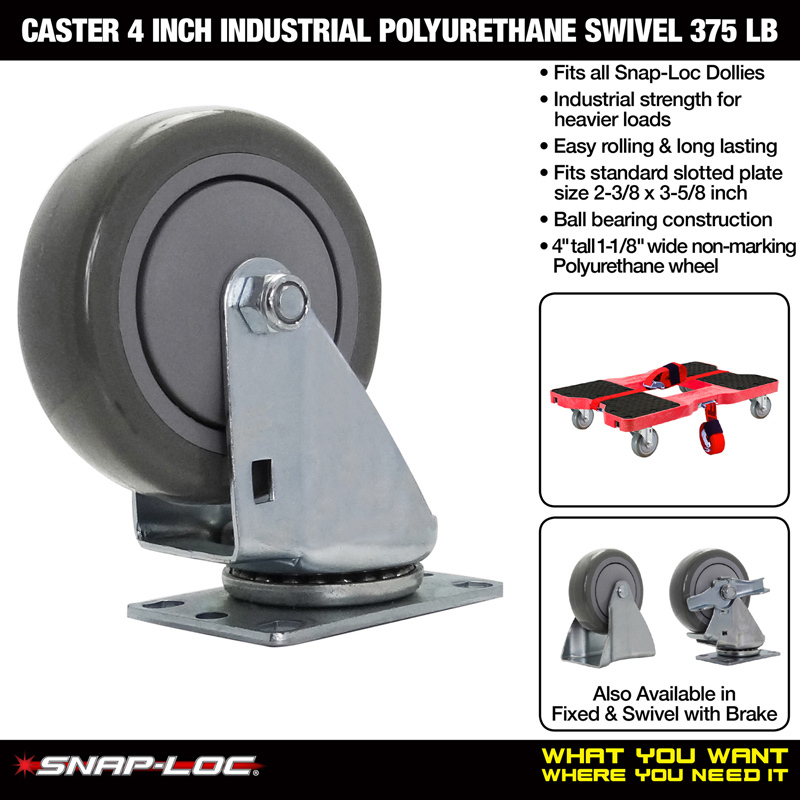 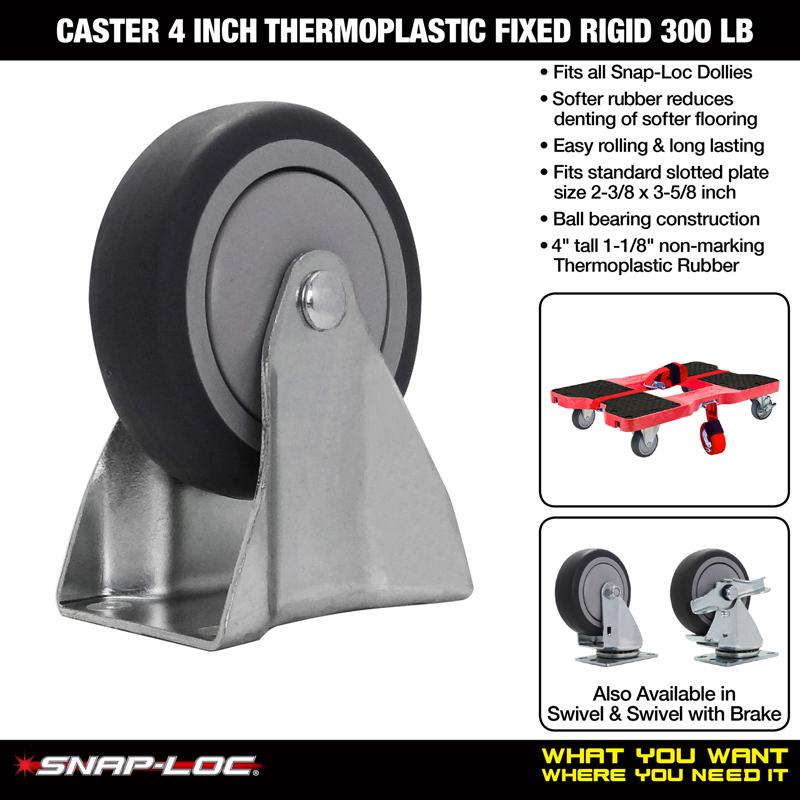 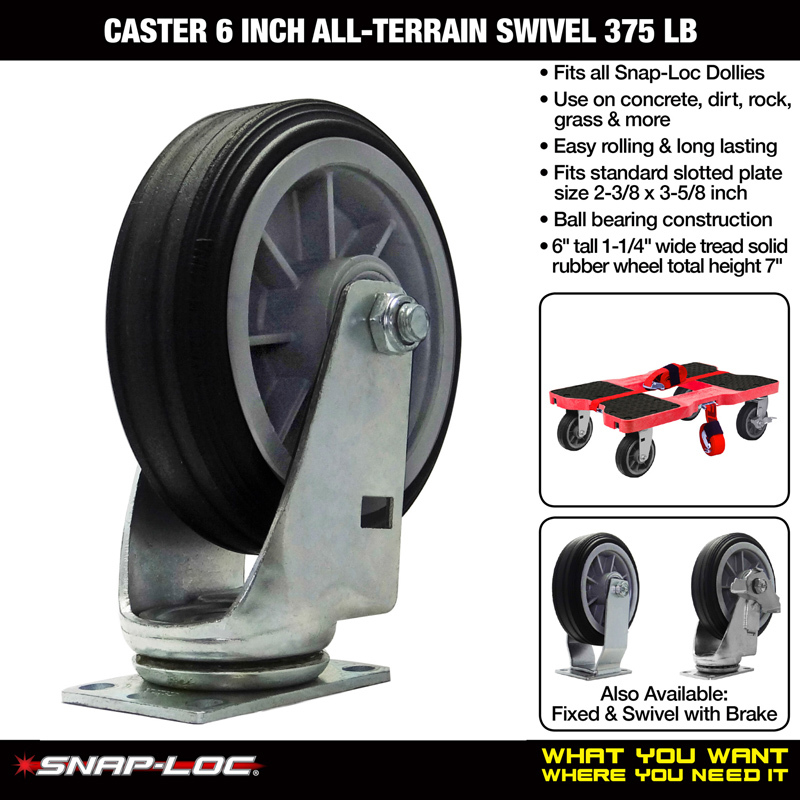 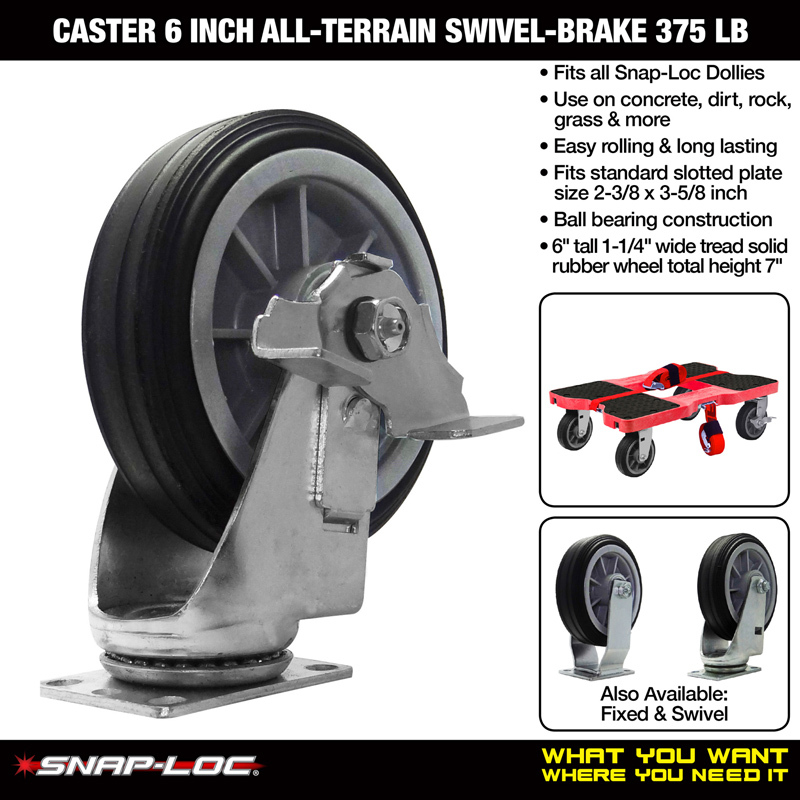 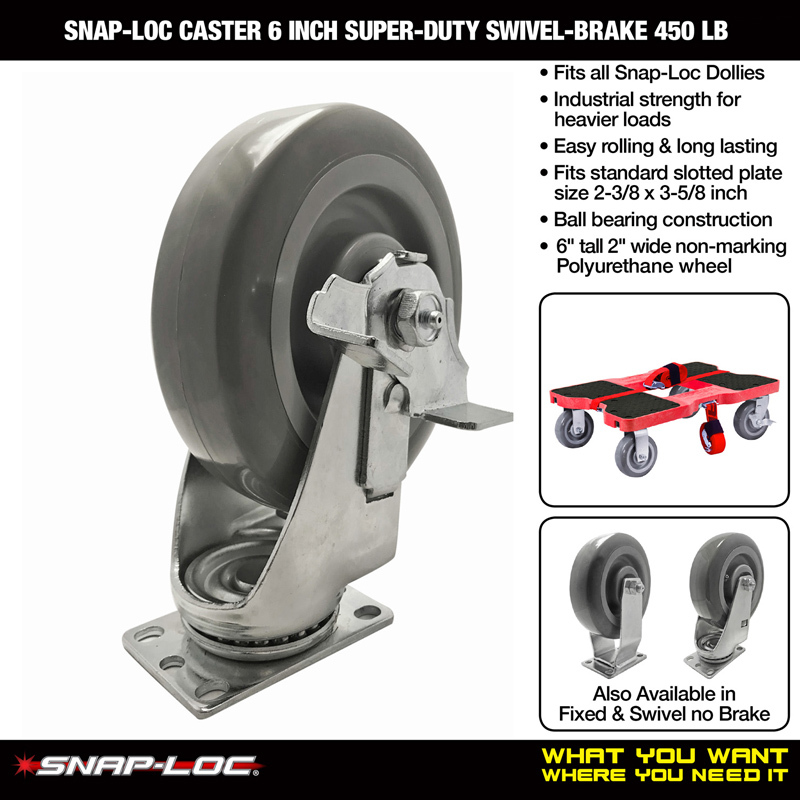 Snap-Loc Casters are the Easy Rolling! 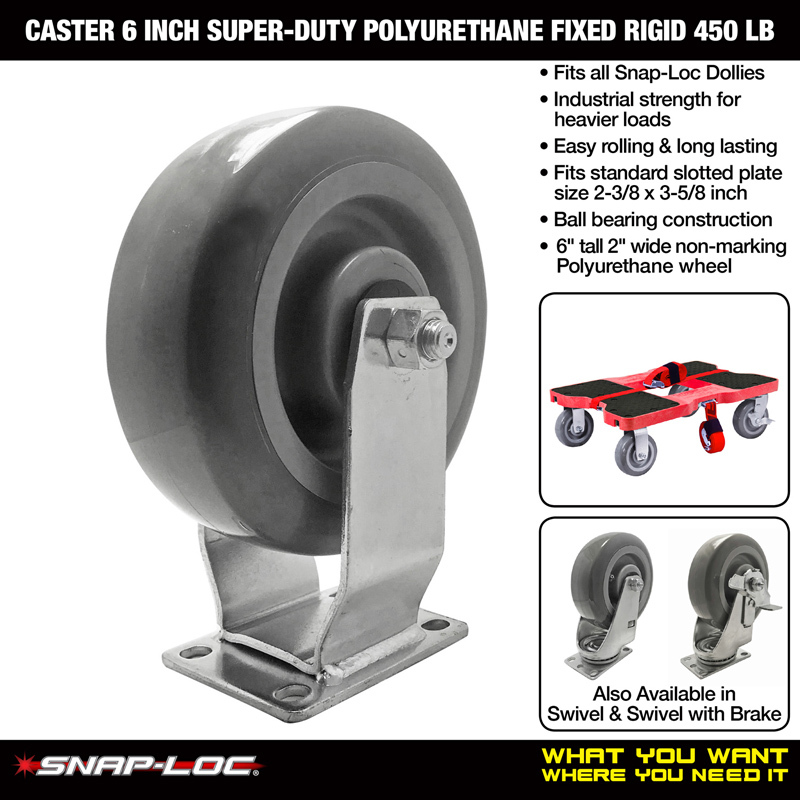 Industrial strength high-quality casters are available in a variety of styles for easy rolling over different surfaces and come with a fits anywhere 2-3/8 inch x 3-5/8 inch slotted plate. 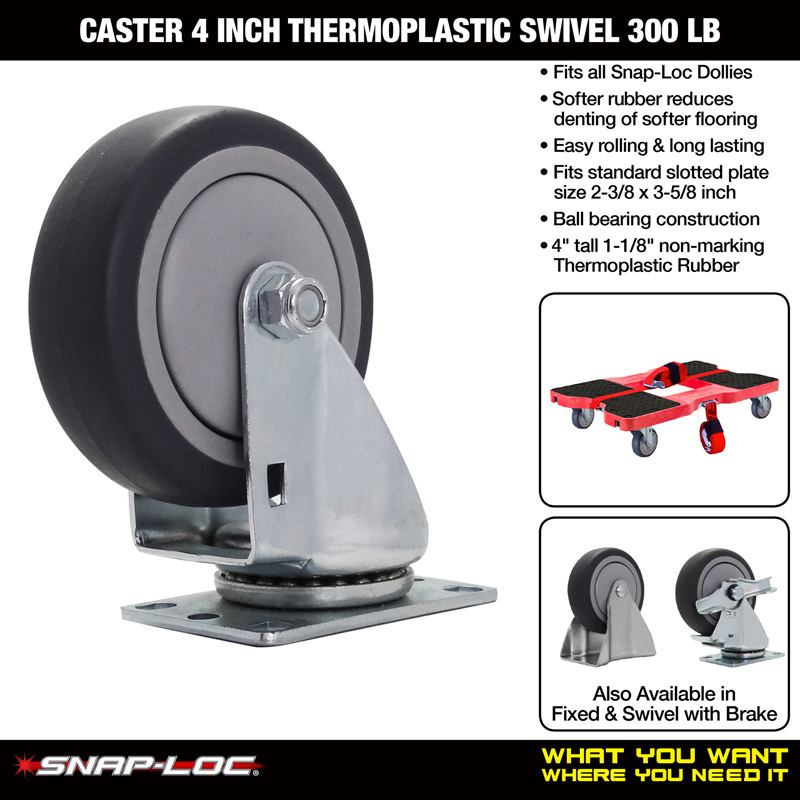 Moving your stuff has never been so damn easy! 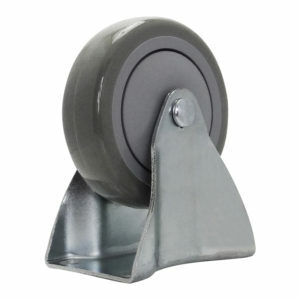 Super Easy rolling ball bearing. 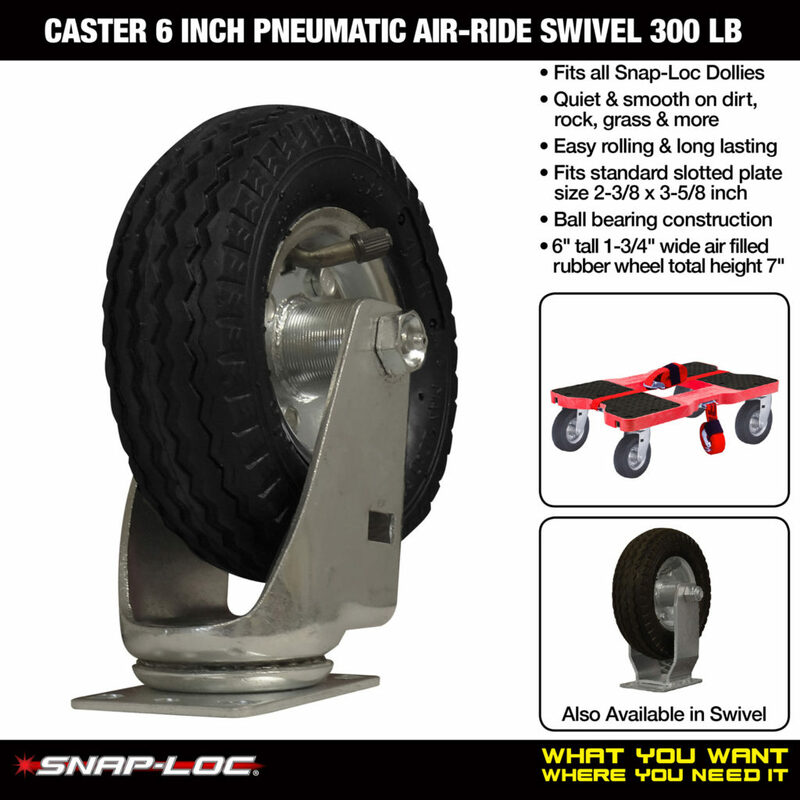 Fixed-Rigid, Swivel and Swivel-Brake for hills. 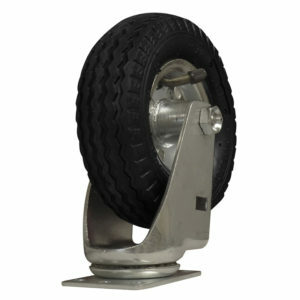 Available in a variety of wheel types for all terrains and surfaces. 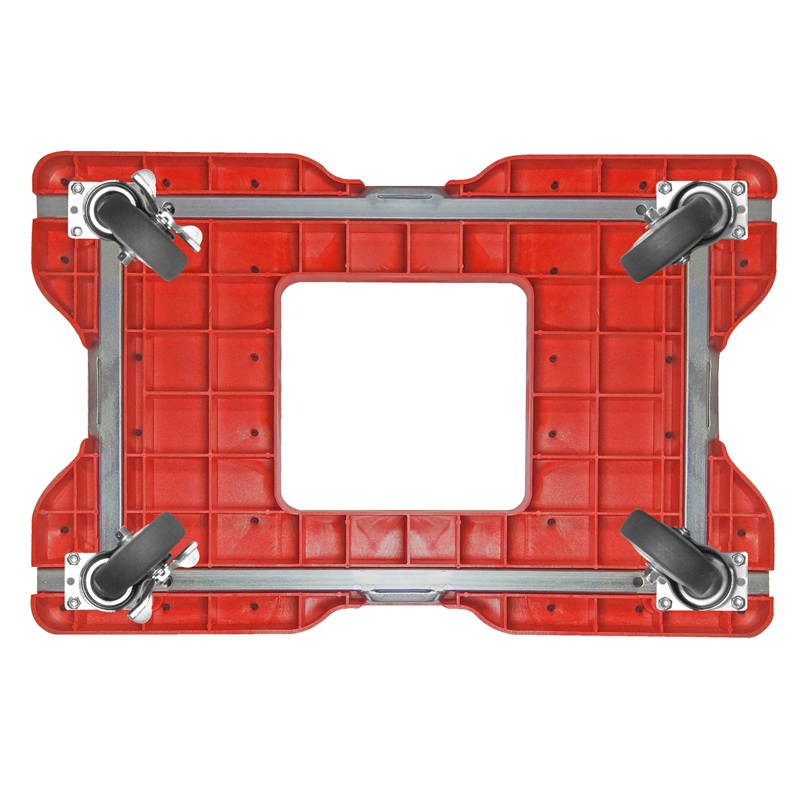 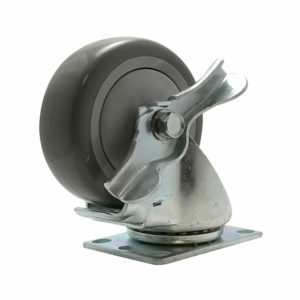 Made from heavy duty zinc plated steel. 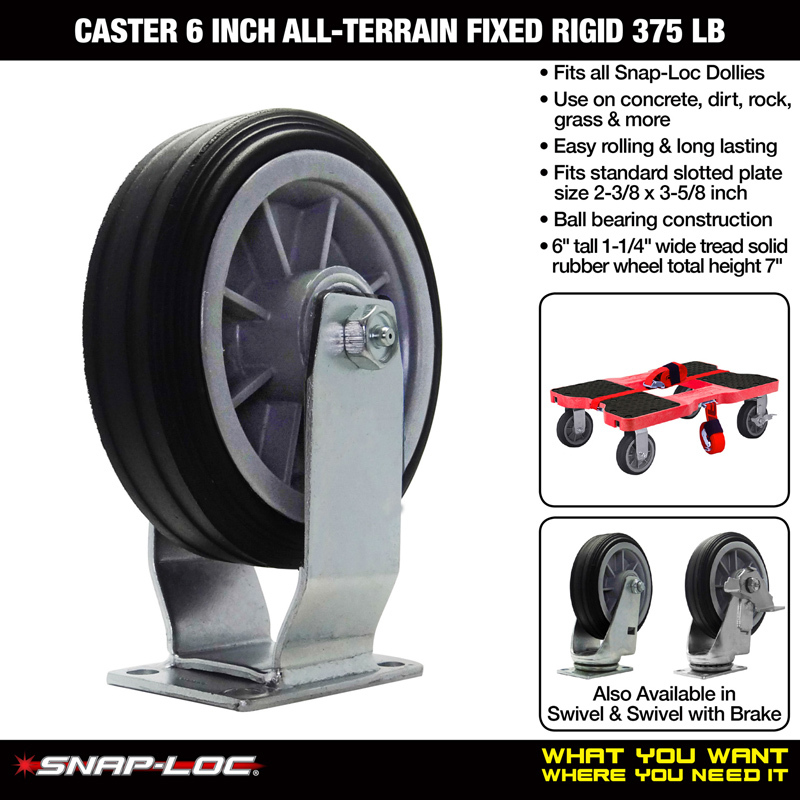 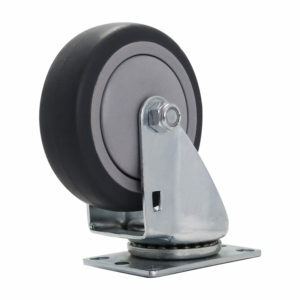 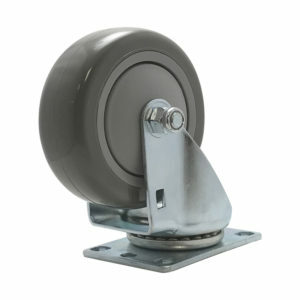 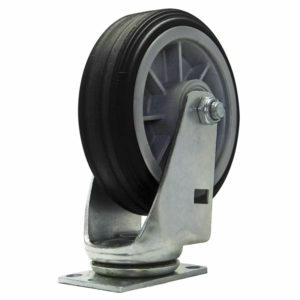 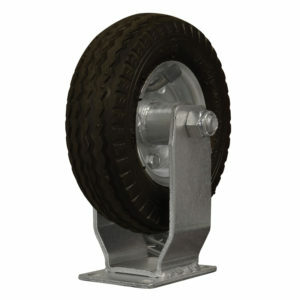 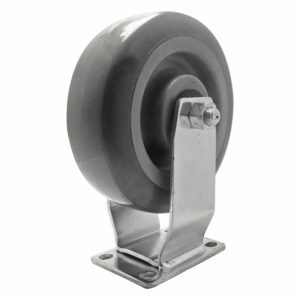 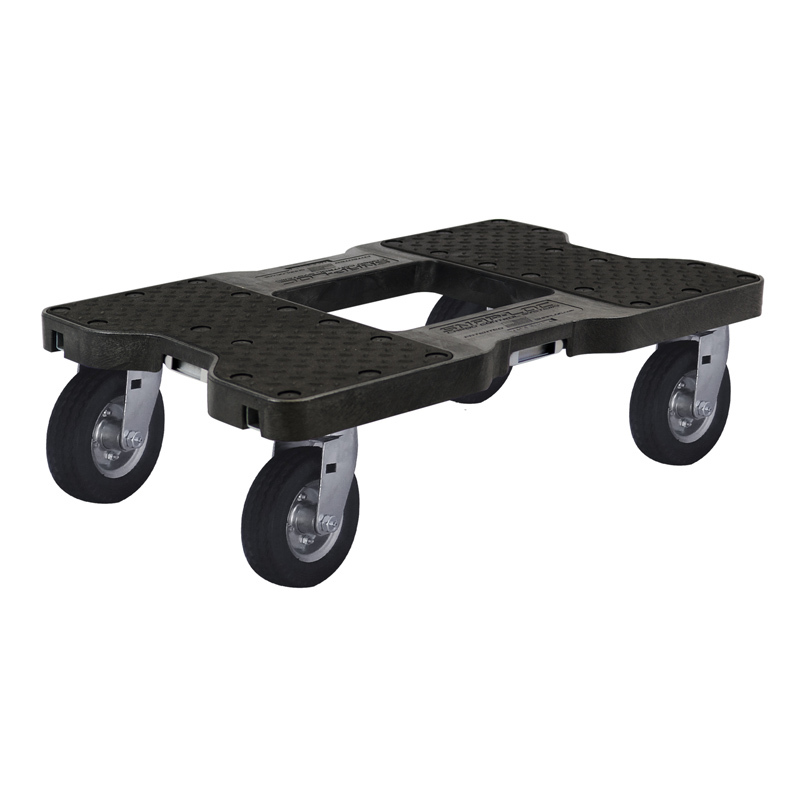 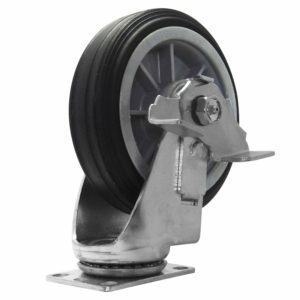 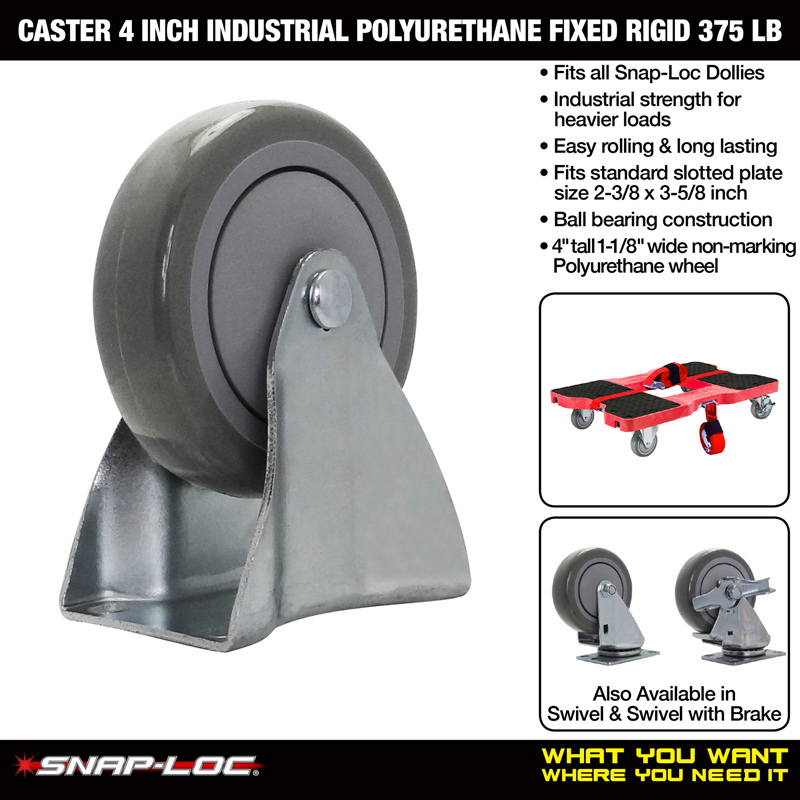 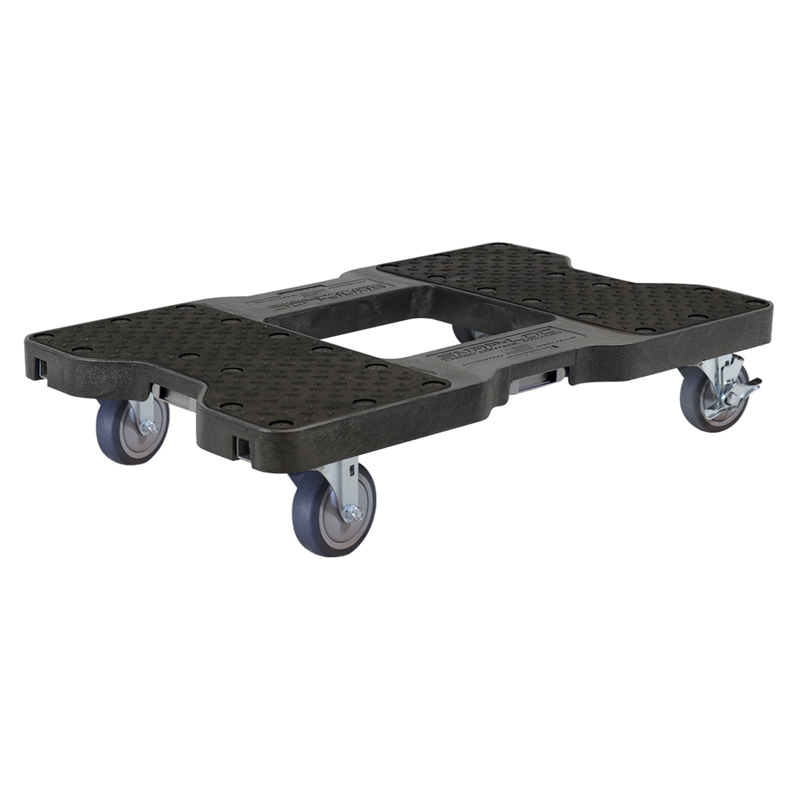 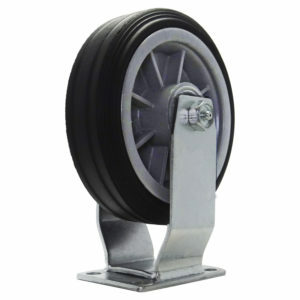 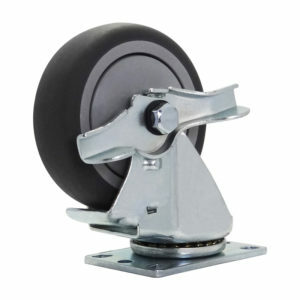 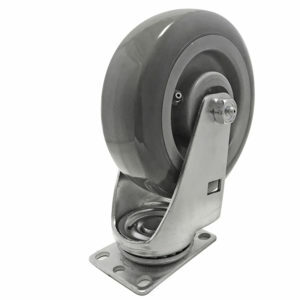 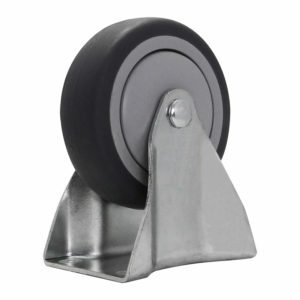 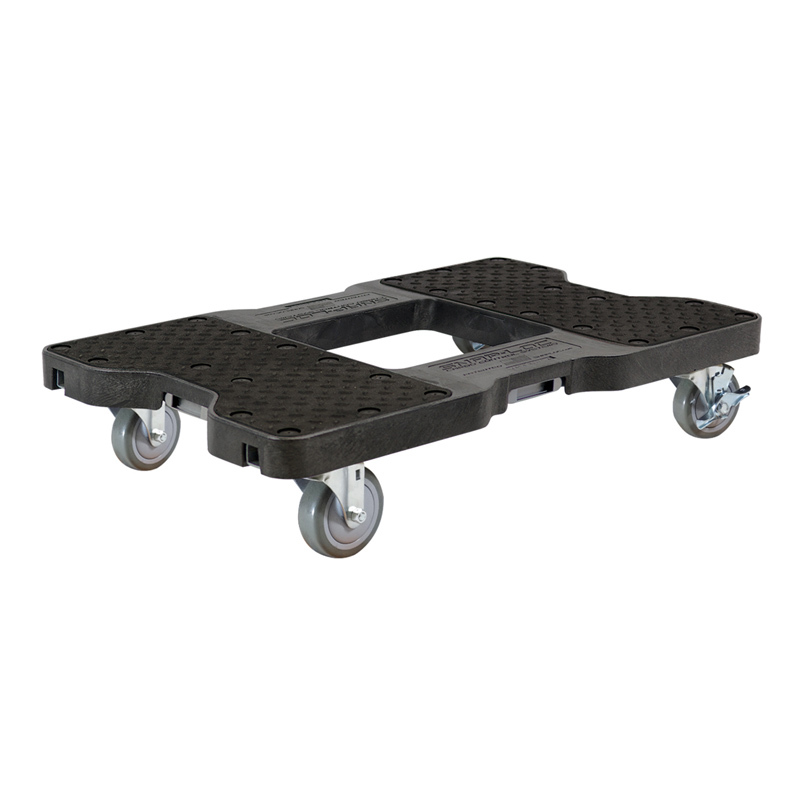 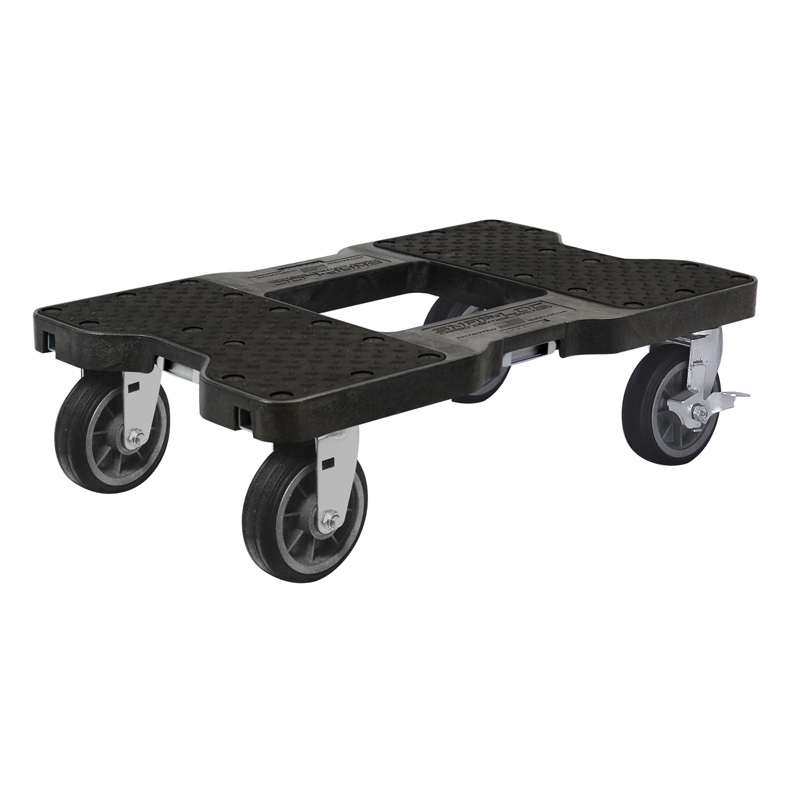 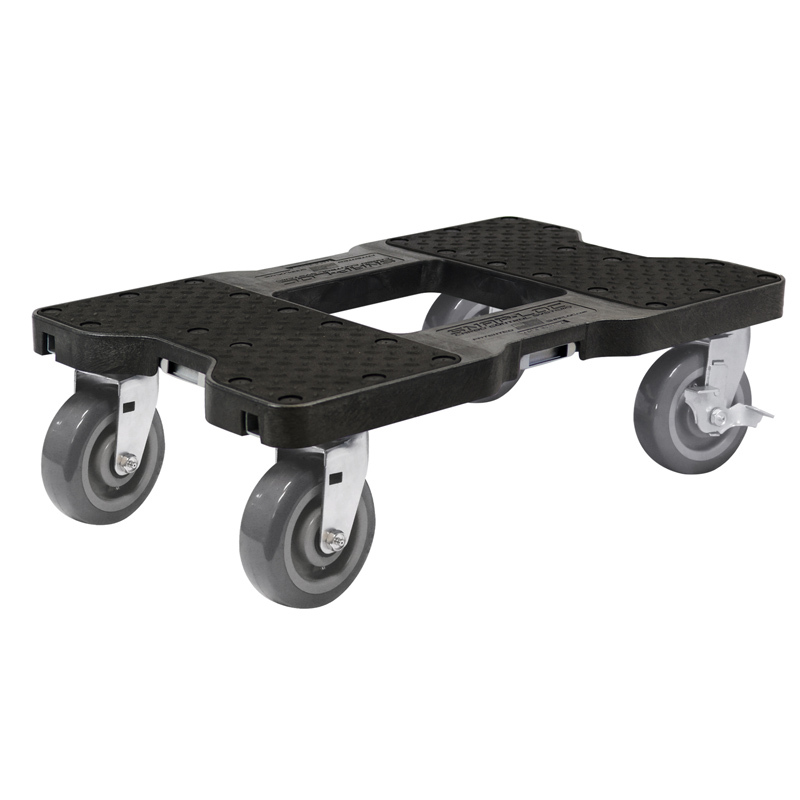 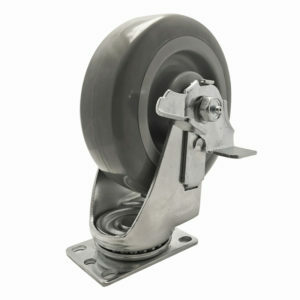 Perfect replacement casters for any standard dolly any wheeled cart.